The NFL has received scathing criticism for its rash of roughing the passer penalties that have been called thus far in the 2018 NFL season. 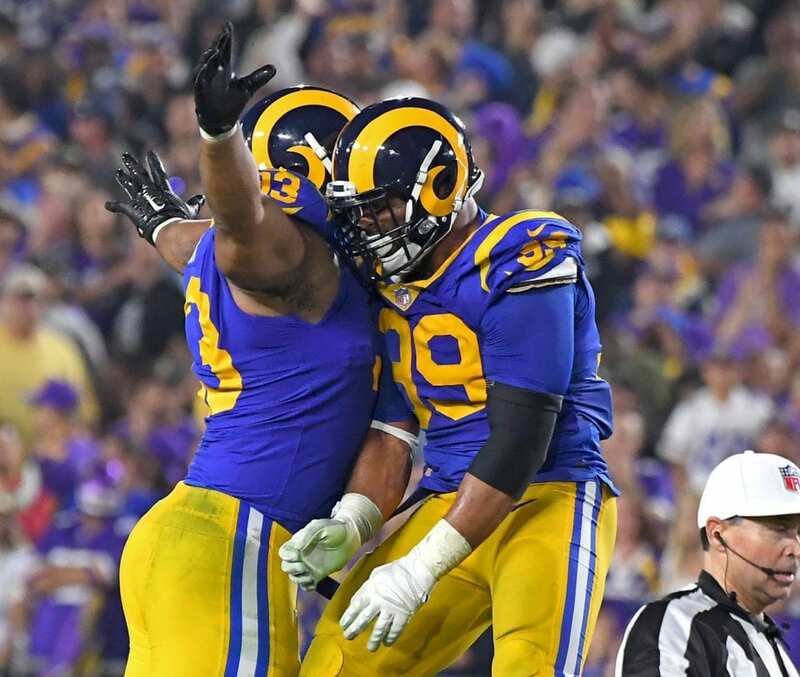 Fortunately, it appears Ndamukong Suh and Aaron Donald may have found a solution. It is encouraging to see Donald and Suh switch up their approach. Their job has gotten much harder with the new criteria for what qualifies as a ‘clean sack’ nowadays. They have essentially been forced to consider other alternatives in order to prevent getting flagged or hurt. The NFL suffered its first casualty of the new rule after William Hayes tore his ACL trying to avoid the quarterback. It is safe to assume that the Rams would much rather take the flag than have their players potentially get hurt while making a highlight play. Fortunately, it appears that Suh and Donald have managed to learn from their early brushes with the penalty. Donald had his sack negated after he was flagged for a low hit on Derek Carr. The entire defense had a tough time bringing quarterbacks down early on. However, that changed in Week 4 versus the Minnesota Vikings when Donald and Suh got their first sacks of the year. Although they had given up way too many points, it was a stellar night overall for their pass rush. Los Angeles is hoping to capitalize on their performance when they visit a makeshift Seattle Seahawks offensive line in Week 5.